Last week the Calgary Herald announced that South Korea's flagship airline was "very interested" in establishing nonstop flights to Alberta through Calgary, making YYC the airline's third Canadian destination after Vancouver and Toronto. This is hardly surprising considering Alberta's current economic ascendency, as well as Korean Air's continuing runaway success. The past decade has seen the airline emerge as one of the world's largest, most prolific and top-ranked carriers, with its resplendent new hub at Seoul-Incheon International Airport increasingly predominant among East Asia's top airports. While few people familiar with Korean Air's recent market onslaught (or, for that matter, with the increased Asia-Pacific presence in Alberta's oil industry) would have been surprised by last week's headline, those familiar with the carrier's history might well marvel at how far it has come since it very nearly got banned from Canadian skies altogether. By the late 1990s, Korean Air had developed an unfortunate reputation for having its planes fall out of the sky. Following the airline's most recent fatal incident in 1999, when a cargo 747 plowed into the earth right after takeoff from London's Stansted Airport, the Canadian government told the airline it was considering revoking its landing privileges at Canadian airports. Meanwhile, Delta Air Lines and Air France suspended their partnerships with KAL and the US Federal Aviation Authority downgraded its safety rating - while the US military banned its personnel from using the airline. The airline's rap sheet from the 1970s to the 1990s was indeed egregious. Between 1970 and 1999 Korean Air racked up over 700 fatalities and lost a total of 16 aircraft in a string of disasters. 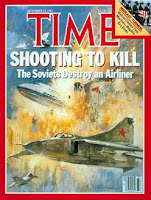 The most famous incident occurred in 1983 when a KAL Boeing 747 strayed off course into highly restricted Soviet airspace over Sakhalin Island and was shot down by an Su-15 Interceptor in a case of apparent mistaken identity, killing 269 people. In an incident 14 years later, an overtired captain dealing with bad weather and malfunctioning ground equipment smashed his 747 into Nimitz Hill in Guam, killing 206 out of 231 passengers. And in another alarming although non-fatal incident in the early 1990s, a domestic flight from Jeju to Daegu performed a belly-landing after the flight crew had failed to lower the landing gear. Culture or Language....Or Simply Bad Practices? In the aftermath of the Stansted crash, Korean Air, now threatened with the possibility of international blacklisting, enlisted the help of an official from Delta Air Lines to conduct an audit of the airline's flight operations. 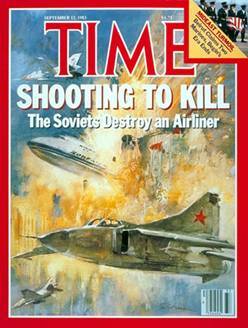 Since virtually all the airline's accidents had resulted from human error rather than structural problems to the aircraft or other such non-human variables, the investigation focused exclusively on KAL's flight crews, covering everything from pilots' command of the English language (the lingua franca of commercial aviation) to the airline's hiring and training procedures. It was investigations of the latter that produced the smoking gun. The firm hired to audit the airline's training procedures noted that the KAL crews were "trapped in roles dictated by the heavy weight of their country’s cultural legacy," namely a Confucian culture in which subservience to authority was considered paramount. The 1999 crash proved to be particularly telling. The cause of the accident was discovered to be a malfunctioning attitude indicator on the captain's side of the controls, which led him to bank the jet until it spun out of control. More tellingly, it was discovered that the first officer's indicator had been working perfectly but that he had failed to inform his commanding office that he was jeopardizing the flight. Studies of the flight's voice recorder shed further light on the climate in the cockpit leading up to the crash, in which an overbearing and increasingly agitated captain had instilled such a climate of fear that none of his subordinates dared question his decisions - even in an apparent life or death situation. The audit also laid blame on Korean Air's longstanding policy of hiring pilots directly out of the ROK Air Force, a practice which exacerbated the strict hierarchical culture among KAL flight crews. 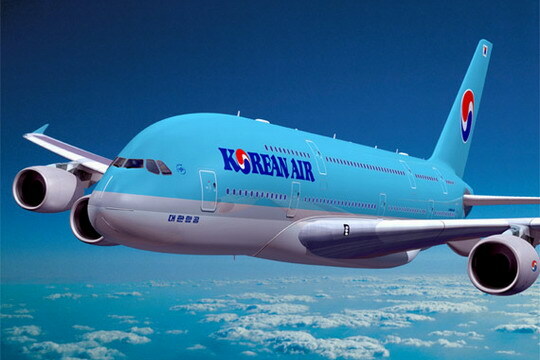 Following the audit, Korean Air announced vast, sweeping changes to its HR practices. The airline stopped hiring its pilots out of the military. Major changes were made to its training procedures, and edits were made to instruction manuals so as to reflect the unique characteristics of Korean culture. The moves were astonishingly successful. Since the Stansted crash, Korean Air has not had a single fatal accident and apart from a single incident in 2007 when a KAL 737 accidentally landed on an unoccupied taxiway at Akita, Japan, instead of the intended runway, the airline has not had a single accident of any kind. The Korean Air turnaround is a remarkable success story by any standard. How, then, was it achieved? Malcolm Gladwell, in his book Outliers: The Story of Success, writes extensively on the Guam disaster (KAL 801). In his analysis of the accident, he contends that the Korean language itself may have hindered effective cockpit communication. Gladwell points out that the Korean language has six conversational levels indicating hierarchy; for example, you would speak differently to your father than to your younger sibling, and different still to your grandfather. In the case of Flight 801, the captain was tired and losing focus while the first officer, who was also subordinate to the captain in military ranking, could do little except 'hint' at a potential danger, and only indirectly. In other words, within the hierarchical structure of the Korean language, he had no means of yelling "You're too low! Pull up NOW!!!" Others, however, have questioned this prognosis. In a review of Outliers in Asiance magazine, Korean-born American author Sae Park disputes Gladwell's language theory, noting that the author failed to consult a Korean speaker when analyzing the (translated) transcript of Flight 801's flight recorder. Park contends, upon further examination of the transcript, that the flight engineer (who was in fact older than the captain) was not speaking to the captain in a particularly deferential manner, and that while the first officer did refer to his commander as kijang nim (lit. 'honourable captain'), this is no different than referring to a judge as 'Your Honour' in English. And while she concedes that hierarchy rooted in traditional Korean culture (and compounded by military strictures) may well have exacerbated existing problems in the cockpit, Park argues that the notion that the Korean language contains intrinsic barriers to saving a plane in a time of crisis is ridiculous. What, then, was the problem at Korean Air - and how did it get its act together so quickly? While a militaristic cockpit culture grounded in traditional Korean Confucianism was without doubt a major factor (a fact that the airline itself acknowledged), Sae Park also notes that by the 1990s the airline was facing a pilot shortage as a result of its rapid route expansion through the 1980s andearly 1990s - paralleling the country's explosive economic growth. While a pilot shortage may have contributed to the airline's poor safety record during that time, as it has with other airlines in the past, this situation may ironically have helped it in the long run. By the time of the Guam and Stansted crashes, KAL had already begun recruiting non-military pilots and training them in-house so as to alleviate its shortage of pilots. In the aftermath of Stansted, these already existing processes were simply made universal. Nevertheless, the real story at Korean Air was the new standards that former Delta vice-president David Greenberg helped introduce. These included rigourous new training and testing standards and new 'cockpit culture' standards, as well as reforms to company promotion and transfer practices that put an end to placements based on connections and friendships. The airline also purchased new crash-warning systems and other technology and began hiring more foreign pilots, a move the airline hoped would both alleviate its pilot shortage and help create a better cockpit communication culture. Whatever the airline did, it appears to have worked, as Korean Air's safety record since the Stansted disaster has been virtually spotless. In her critique of Outliers, Sae Park accuses Malcolm Gladwell of ethnocentrism in his analysis of Flight 801 and Korean Air's onetime safety issues. While Park acknowledges that the rigidly hierarchical cockpit culture that once defined Korean Air's operations was indeed a safety liability, she criticizes Gladwell for making broad generalizations about Korean culture - and the Korean language - that, in her view, amounted to linking Asian-ness (or at least Korean-ness) with one's likelihood to crash a plane. (Call it 'Flying-While-Korean'.) "Implicitly, this logic also privileges western culture," she asserts. "The 'other' is blinded by cultural demands to the point that they are helpless to even save their own lives if it goes against their heritage, while in the west we're lucky to have the rationality to see through such false premises." It's not just 'eastern' culture. While Park has a point, it should be noted that modern-day best practices in cockpit communication have been arrived at through decades of trial and error and can in no way be said to be intrinsically 'western'. In fact, cultural characteristics generally associated with 'western' culture have also been implicated in fatal air accidents. In 1978, in one of the worst air accidents in pre-9/11 US history, a Pacific Southwest Airlines Boeing 727 slammed into a residential neighbourhood outside San Diego after colliding with a Cessna 172, killing 144 people - including seven on the ground. 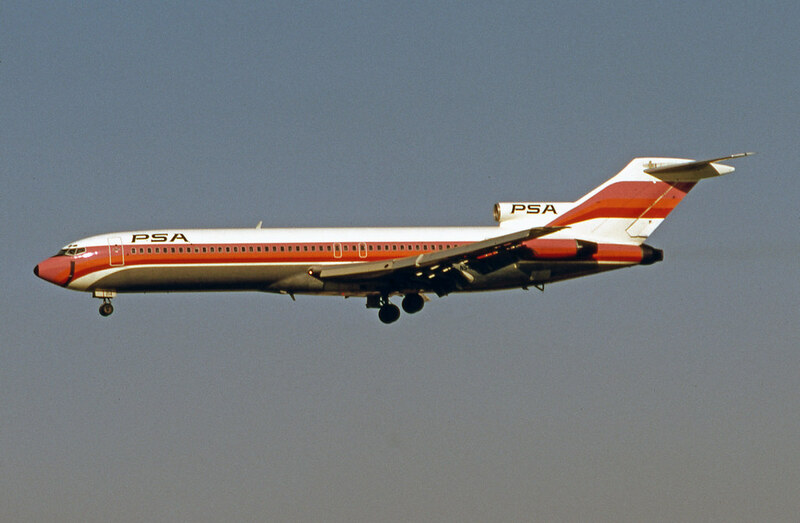 While the primary cause of the crash was discovered to be a miscommunication between the PSA crew and the San Diego air traffic control, analysis of the 727's flight recorder found that the crew had been chatting informally with one another on their descent and had not been paying adequate attention to their surroundings. One of the changes brought about by the industry in the aftermath of PSA Flight 182 was the 'sterile cockpit' rule, which required that cockpit conversations be restricted to matters related to the operation of the aircraft during critical phases of the flight - normally below 10,000 feet. While this rule is in force across the industry, it has been notoriously difficult to enforce. Its importance was highlighted once again following the crash of Colgan Air Flight 3407 in 2009 where, in a situation eerily similar to PSA 182, a Bombardier Q400 commuter plane spun out of control and crashed into a residential neighbourhood in Buffalo, NY when its overtired crew were distracted by their own conversations upon descent into Buffalo. These incidents - and other like them - clearly illustrate that while excessive rigidity in an airplane cockpit is a liability, excessive formality is equally dangerous. While excessive informality in the cockpit has been widely acknowledged as a safety hazard, none of the writings on the subject - to my knowledge - have seen fit to link this phenomenon to western or American culture in spite of the fact that virtually all the high-profile cases of cockpit chatter leading to accidents have taken place on US airlines. Perhaps Park does indeed have a point when it comes to western double-standards when it comes to behaviour and best practices. It's also worth noting that at the same time that Korean Air was subjected to FAA downgrading and restrictions on its expansion, the same restrictions were also applied to KAL's smaller competitor Asiana Airlines, which to date had had only one serious incident. Perhaps there was a modicum of ethnocentrism at work. Whatever the case, Korean Air's near-impeccable safety record since its post-1999 reforms clearly illustrates that Korean-ness is not a liability while behind the controls of an aircraft - and that passengers flying KAL out of Calgary, or anywhere else in the airline's ever-expanding network, have nothing to fear from boarding one of its planes. Wonderful article. Very informative. Thank you so much. Whew, this article helped calm my nerves immensely as my 14 year old gets ready to fly out on Korean Air after today's crash in San Francisco with ASIANA. Glad to hear it. From everything I know they're as safe an airline as one could hope for. As for the Asiana crash, if nothing else it helped highlight the fact that air accidents of that magnitude are exceedingly rare anymore, especially among major first-world carriers like this. I worked in cargo sales in the US for KAL from the late 80's to early 90's and I can attest to the culture described in this article. I was working for them at the time of the Tripoli crash, and the talk going around was that the pilot could have diverted to Malta but instead decided to try and land in the fog, even though the IFR equipment at the airport was malfunctioning. I could believe that because of my own experiences with the stubborn willfulness of my "So Ja Nim" (roughly translated as Big Boss Man). Once during a sales meeting in which he chewed us out for " poor performance" over the pervious month, I told him I didn't agree with his assessment. He was lighting a cigarette as I was explaining my position and he threw his lighter at my head. I ducked and it bounced off the wall behind me, leaving a mark. On another occasion, he told us: " you can never trust a man under forty." We had a small office, and I was the only one under forty, so I go his meaning. A never question authority climate was very apparent. Very interesting story, Thomas. Thanks for sharing! While the latest to-do at KAL with nut incident and the CEO's daughter clearly shows that old attitudes die hard, I would imagine that had this happened a decade or so ago, it would have been swept under the carpet. The fact that Ms Cho is facing the prospect of jail for her antics would seem to be an indication that times have changed. talking about heterochromatin, at which point your argument breaks down. بلیط هواپیما چارتر را پیشنهاد می کنیم. t’s really amazing that we can record what our visitors do on our site. Thanks for sharing this awesome guide. I’m happy that I came across with your site this article is on point,thanks again and have a great day. Keep update more information. wish more writers of this sort of substance would take the time you did to look into and compose so well. همه آژانس ها و شرکت های هواپیمایی سعی می کنند با راه اندازی سایت قیمت بلیط هواپیما، خدمات توریستی خود را در زمینه فروش بلیط چارتر هواپیما بالا ببرند و با توجه به نیازهای مسافران تنوع بلیط های ارائه شده خودشان را بیشتر کنند.خرید بلیط ارزان هواپیما از سایت های اینترنتی امکانات زیادی نمی خواهد، فقط کافی است با رایانه، لپ تاپ، تبلت یا موبایل خودتان به اینترنت متصل شوید و با داشتن رمز دوم کارت بانکی اقدام به خرید بلیط هواپیما کنید. Thanks for sharing this post. The information which you have provided is very good. Keep it up. Brush Talk is the official intellectual dumping ground for Ben Freeland - Edmonton-based writer, communications professional, slam poet, occasional playwright and knee-jerk contrarian. Views are my own. And if you don't like them, I've got others.